Kverneland will be awarded a silver medal for innovation at the SIMA show in February for its FastBale. The SIMA show takes place in France at the end of February and every year announces its medal winners in advance. This year, two gold medals and three silvers will be awarded and one of the silver is for Kverneland. 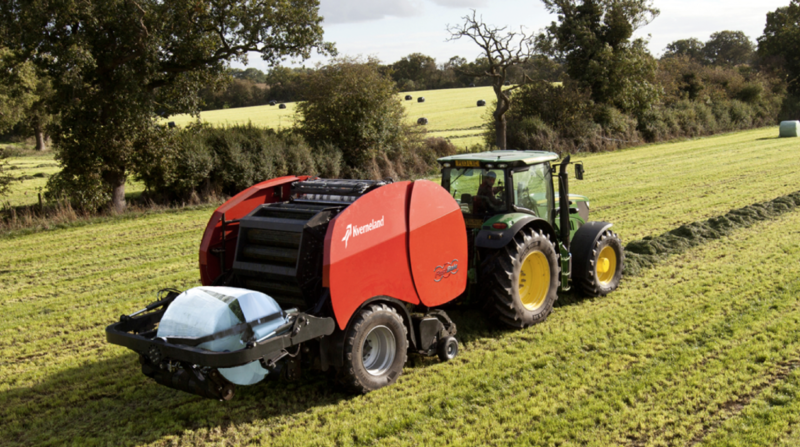 According to Kverneland the art of round baling has taken a massive leap forward with the unveiling of FastBale – which is a non-stop round baler wrapper combination that cleverly integrates a pre-chamber with a main chamber and a wrapper. Machine layout is truly innovative with two chambers arranged in series, allowing a number of rollers to be shared. Operating as a pre-chamber, the first section of FastBale produces two-thirds of the bale. As the pre-chamber reaches its preset density, crop flow is diverted into the main bale chamber allowing baling to continue. The pre-chamber is then opened, moving the pre-formed bale into the main chamber, where it can be taken to its maximum size of 1.25m. Once bale formation is complete, crop flow is switched back to the pre-chamber again, to allow baling to continue. Net is then applied to the completed bale, the tailgate is opened and the finished bale is transferred onto the wrapper. 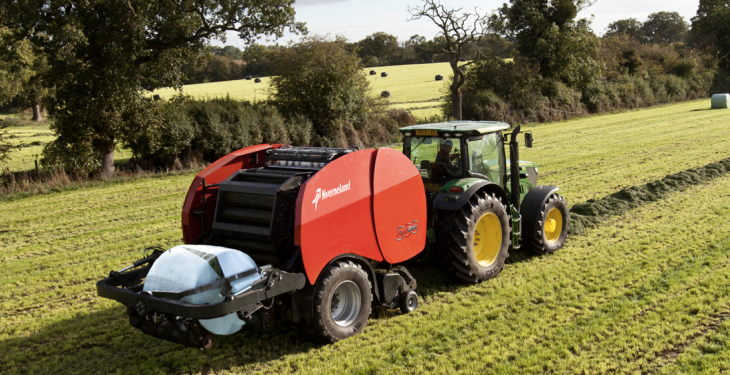 This entire process enables baling to continue uninterrupted. To make bale transfer simple, reliable and fuss-free, the engineering team devised a wrapper frame mounted on a parallel linkage. This enables the wrapper to be lowered to meet the completed bale as it rolls from the main chamber. This avoids the need for a complex transfer system. Field evaluation and development in a range of crop conditions will continue throughout 2015 prior to full commercial availability.